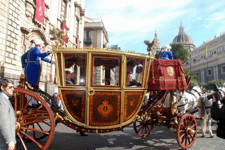 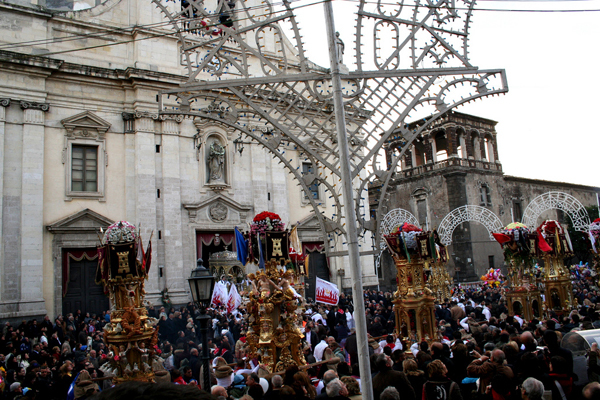 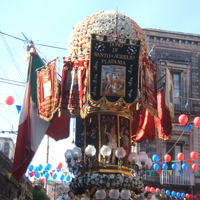 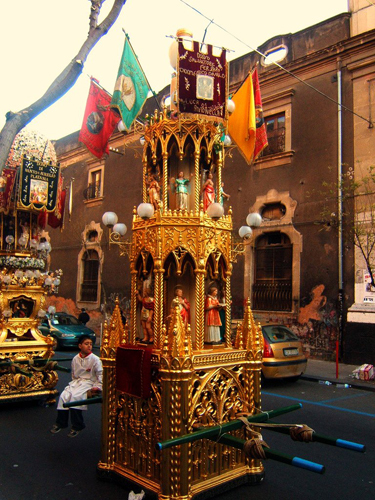 Catania celebrates Sant'Agata, the city's patron, each year with three days of festivities: 3, 4 and 5 February. 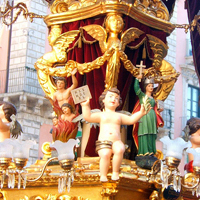 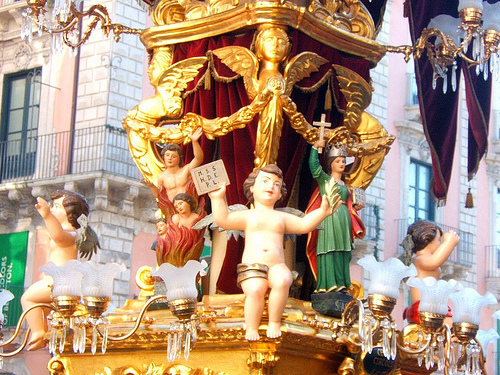 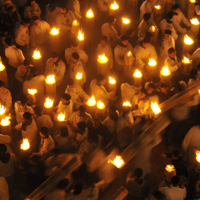 The first day is dedicated to the offering of candles, each confraternity offers a huge "candelora" that is carried in the procession with difficulty due to its weight: some candelore weigh up to 1200 kilograms each! 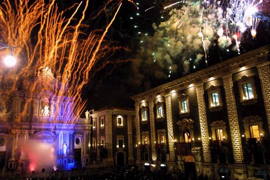 This first day ends with a fireworks display in Piazza del Duomo. 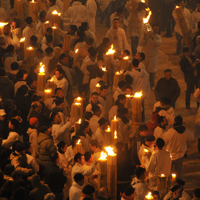 On the second day, Catania's inhabitants wear long white tunics to remember the historical night of 1126 when the Catania people of the time left their houses in their nightshirts to meet two citizens who had come back from Constantinople with the Saint's relics. 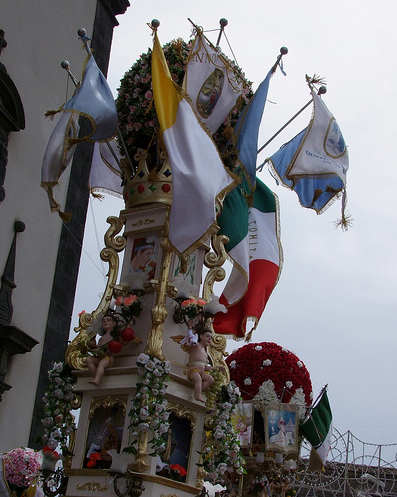 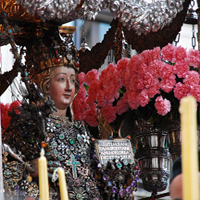 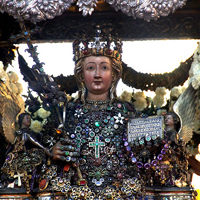 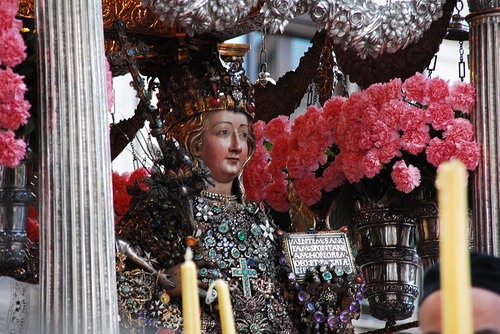 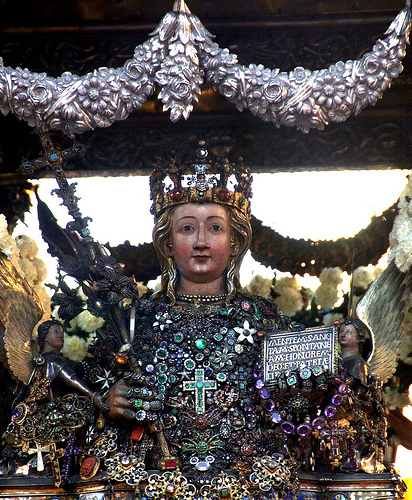 The festival continues with a procession carrying the statue of Sant'Agata, decorated with all the wonderful treasures that are kept in the Chapel that carries the saint's name. 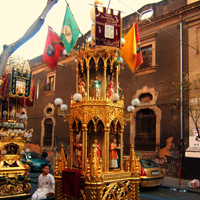 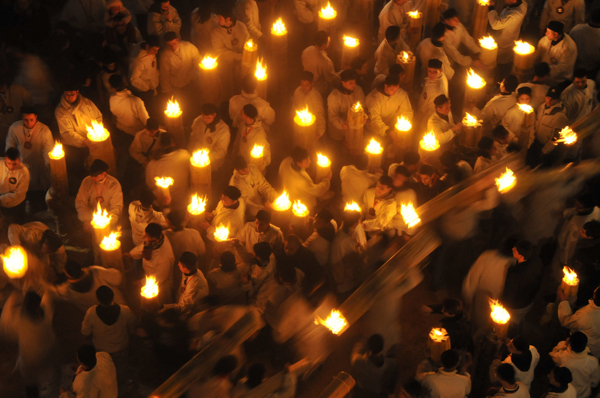 The procession lasts all days and passes by all the places in the city that are linked to the saint's martyrdom. 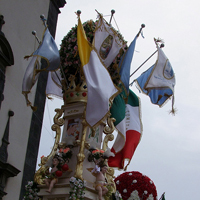 It ends late at night, when the procession statue (called the fercolo) returns to the Cathedral. 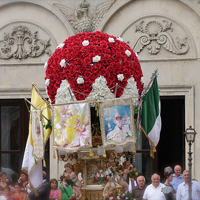 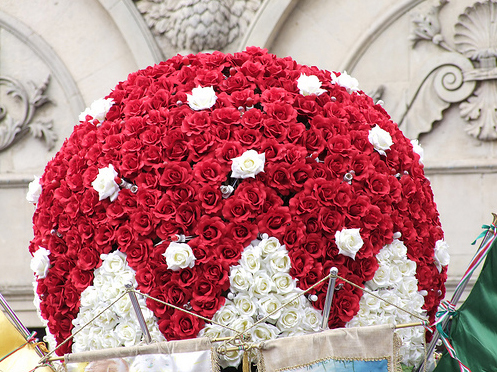 On the third day, white carnations replace the red ones used on the previous day, that symbolize the saint's martyrdom. 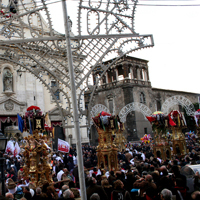 The most emotion-filled moment is when the procession passes along Via di San Giuliano: this steep road is considered to be a trial of courage for the Saint's followers. 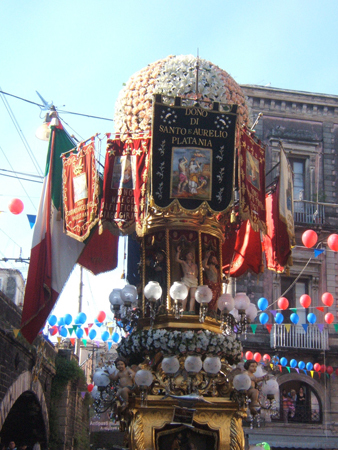 Once this procession has finished and the “fercolo” is returned to the Cathedral, the festival ends with a fireworks display, that leaves the Catania people exhausted but happy for celebrating their patron saint.